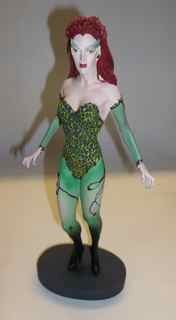 From Warner Brother's Studio Store, Poison Ivy as portrayed by Uma Thurman. The statue captures Uma's image in all her sexiness. The resin figure stands 12" tall. Very rare and difficult to find. It is mint in box.